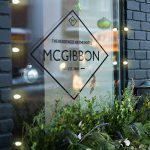 As a McGibbon insider, you know all about the reinvention of the Hotel McGibbon into an elegant and gracious condominium. But this project is about a lot more than a building – it’s about a community. The philosophy driving this development – known internationally as the “healthy communities” approach – considers the social, economic, environmental and physical influences on people and the community as a whole. There are 7 key ways the reinvention of the Hotel McGibbon will make Georgetown healthier and stronger. The Residences of the Hotel McGibbon will preserve the identity and architectural façade of Georgetown’s landmark hotel. Established in 1861, “Gibby’s” has a special place in our history. The main street frontage will be restored to the original 1880 design, honouring its proud heritage and connecting us to our storied past. Its reinvention will turn a run-down old building into a revitalized gathering place for residents, locals, and visitors alike. 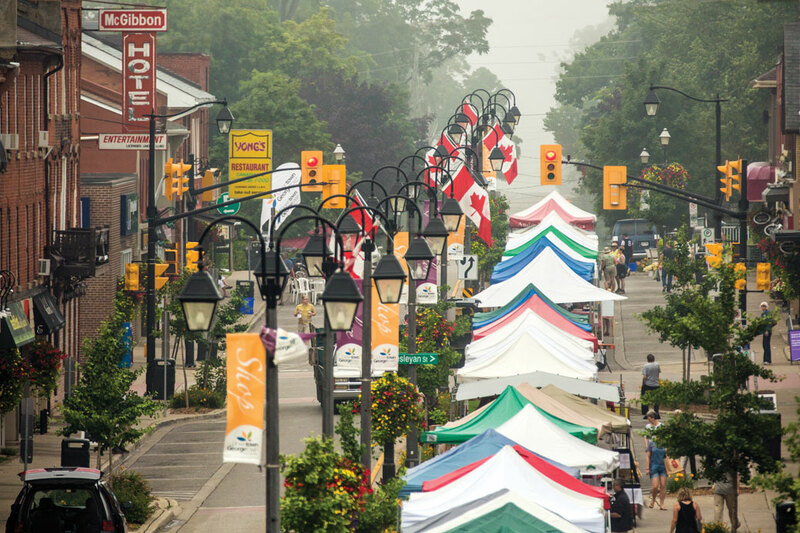 Projects that help restore neighbourhoods with improvements to streets, buildings and public spaces keep communities lively and dynamic. The new McGibbon does exactly that. It will provide neighbours with a new place to gather, connect and socialize. And it will usher in simple changes that make a dramatic improvement, like heritage elements to spark interest; a recessed portico to encourage leisurely window shopping; and benches to stop and rest. Since the new McGibbon opened for sales earlier this year, sales have been strong—and overwhelmingly local. 96% of the sales, to date, have come from Georgetown residents. This enthusiastic response speaks volumes of the demand for high-end condos in our community. The McGibbon’s residents want a great lifestyle and a vibrant, social experience that a smaller, denser neighbourhood creates and suburban neighbourhoods do not. For shopkeepers and neighbourhood service providers (restaurants, dentists, coffee shops, florists, pet-minders, etc. ), the influx of residents into our downtown means more business. The arrival of this upscale community of residents translates into a stronger, more resilient local economy. Speaking of the local economy, The Residences of the Hotel McGibbon will bring more tax dollars and new employment opportunities to our community. 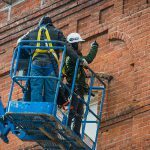 From local trades who help build it, to the professionals—managers, security personnel, the cleaning staff and community programmers—who will help maintain it, the new McGibbon promises to employ a healthy roster of talent. In keeping with the town’s strategic vision to preserve, protect, and promote our environment, the Residences of the Hotel McGibbon represents a remarkable exercise in sustainable development—a one-of-kind project in Halton! 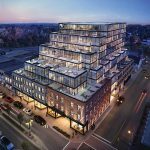 The new Hotel McGibbon is brought to you by SilverCreek Group—a homegrown development company that has earned a reputation for integrity and craftsmanship across Ontario for over 30 years. This is not some huge, faceless corporation. Doug, Don, and the SilverCreek team live and work here. The offices are right on Mill Street. SilverCreek cares deeply about Georgetown and are proud to invest in their hometown’s future. The Presentation Centre is now open and is located at the corner of Main and Mill. Drop in and have a look – we know you’ll be impressed.